Chop giblets and cook in butter in a medium skillet over medium heat, 2 minutes. 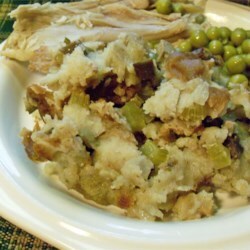 Stir in celery and onion and cook until tender, but not brown. Remove from heat and stir in salt, pepper and poultry seasoning. Place bread crumbs in a large bowl. Toss with giblet mixture and enough broth to lightly moisten the bread. Use stuffing to stuff an 18 pound turkey, or bake separately, in a 2 quart dish, covered, 40 to 45 minutes in a 375 degree F (190 degree C) oven. 1) "Live and Let Die" was nominated for an Oscar as best song. Do you have a favorite movie song? 2) The latest Bond movie, Skyfall, is crazy successful. Have you seen it/do you want to see it? 3) What do you think makes Bond movies so enduringly popular? 4) Do you have a favorite among the actors who have played "Bond, James Bond?" 5) Bond orders martinis -- "shaken, not stirred." What's your regular drink order? 6) Moving from the bar to breakfast -- do you have a favorite cereal? 7) Let's daydream about warm weather. Would you rather swim in a lake, the ocean, or an outdoor pool? 8) Did you get 8 hours' sleep last night? 9) What are you wearing on your feet right now? I love being a grandma. One of the favorite things to do as a grandma is have lots of fun with the little ones. I love to play as much as they do so when I was offered the opportunity to have a PinyPon party I jumped at it. First I had to find out exactly what a PinyPon was. Having never heard of it before I felt it was very important. PinyPon are mini dolls that are perfect for the little ladies of today. They are modern dolls that love fashion clothes, animals and nature. PinyPon dolls are fun to collect. Each doll is part of a collection of amazing interchangable friends. 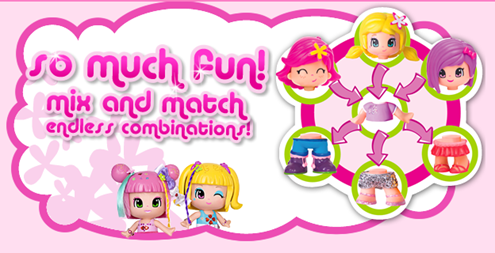 You can create your own group of dolls by interchanging everything from arm, legs, hair styles and even faces. Perfect for little girls like princess or any young lady ages 4 and up. They are not really intended for younger girls because of the small pieces and accessories that a young child could choke on. 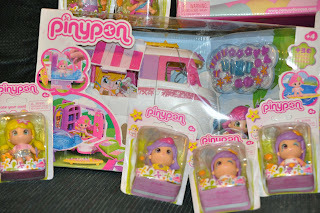 PinyPon doll collectors have the chance of using their imagination even more by collecting the PinyPon hotel, apartment, shopping mall, car and caravan. We were sent some great Pinypon products to make the party a great success. We also received two of the vans, allowing the girls to buddy up for their wild adventures. They went camping, took a road trip, and even took on the long drive to Disney World with their new Pinypon friends! 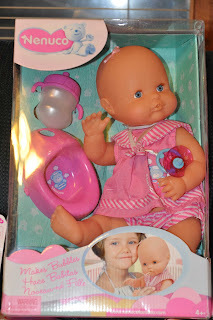 We were also sent two precious new baby dolls. The new Nenuco New Born doll is made by the same makers as PinyPon. This cute little baby will drink from its bottle, wets in the potty and blows bubbles when you squeeze its hand. This little doll is from ages 4+ You can find this cute little baby doll at retailers such as kmart, amazon, and toys r us. or at the Nenuco website http://www.nenucofamosa.com I believe Princess and I agree this is a great doll. She is such a cute little doll that does so much which means the dolls "little mommy" will have a lot of fun caring for her. We had an awesome time as Princess and her friends were introduced to what I feel will be some of the hottest toys Christmas 2012. Each girl was sent home with a friend of their own and a few of them were sent home with a special prize as well. Entertainment was made when the girls enjoyed sharing the new dolls and creating new dolls as well. Be sure to check all of them out! You can find Pinypon on Facebook and twitter. You can connect with Nenuco on Facebook and twitter as well. Disclaimer:I would like to thank MommSelect and PinyPon for providing us with the free toys and supply's used in our PinyPon Party. 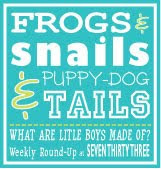 There are currently three awesome giveaways going on here at annies home. The first giveaway ending on 11/18/12 is from a familiar sponsor here on annies home. Pedipeds the makers of awesome shoes for kids has added to their line and now have boots that can be trusted available as well. Enter this giveaway for a chance to win a pair of boys or girl boots. Does your family love the taste of Mexican? Well ours does and boy did we enjoy the taste that MeAmerica offered. You can check out the review and be on the outlook for a giveaway for the same products that we reviewed. Why use Kellogg's® Rice Krispies®? 1. Trace your handprint onto cardboard. Cut out. Set aside. Crush cookies in zipper plastic bag with rolling pin. Mix cookies and butter together then press mixture onto bottom and side of 9 inch pie plate. Mix cream cheese, peanut butter, sugar and vanilla with electric mixer on medium speed until well blended. Gently stir in 1 1/2 cups Cool Whip. Decorate with remaining Cool Whip and cookies. shared at Life as Mom where they are all talking about holidays and their favorite pie to serve. Each year my daughter presents her famous peanut butter pie at our family daughter. Oh my gosh, so good, while it is her recipe I do not have the recipe to share and thus selected this one. I love nutter butter cookies and think this one would be delicious as well. “Grinch Punch” with Sprite and Lime sherbet and Green Sprinkles/sugar rim. this would be fun the night we watch the movie &/or read the book! One of my favorite things this time of year are the bonfires. Where one can sit a spell and chat with friends while the fire keeps you warm. Mix 1st 4 indredients throughly. Then add hashbrowns. Mix until well coated. Put in lightly greased 2 quart casserole dish. Bake at 400 degrees 30-45 mins. Serving Size: Makes 8 servings. 230 Calories per serving. 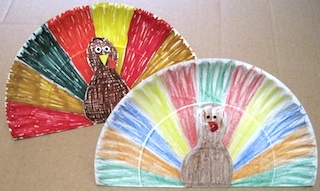 Love this kid friendly turkey craft I found at the blog Crafty Journal. They are so fun to make and perfect to keep young ones busy while everyone is preparing the feast for Thanksgiving. While I do believe that kids should take part in preparing the feast there are definetly things that they can not take part with. Have you checked out my new review for MexAmerica Foods? Yes the products I shared in the review could and would make everything you eat from meals to snacks and desserts yummy I just found a delicious recipe that would be great to pack in school or work lunches or enjoy as a dessert or snack at home. Preheat oven to 375 degrees. If you don’t want to have to scrub your cookie sheet, lay a piece of aluminum foil on it. I used a cookie sheet with sides, just in case the juice seeped out. Arrange flour tortillas on the cookie sheet so there is one on each side. Peel and slice the apples, putting half an apple on each tortilla half. Use the lid from the lemon bottle to sprinkle about half a capful of lemon juice over the apple slices in each tortilla. Mix the flour and sugar together and sprinkle about 1/4 of it over each apple pile. You can use more sugar if you like yours sweeter. This amount of sugar will make the pocket pies slightly tart. Sprinkle with cinnamon and nutmeg. We like lots of cinnamon. Wet your fingertips and rub them around the bottom edge of half of one tortilla. Fold the top half of the tortilla over so the edges match and press them together. Using a fork, press deeply all the way around the edge of the pie, so the edge is well sealed. Cut a few slashes in the top of the pie to release steam. This keeps the edges from pulling apart and spilling out the juice. I made 5 slashes in each one. Dampen the top of the crust with a bit of water and sprinkle cinnamon sugar over the top. Bake 10 minutes. Turn the pan around in the oven and bake another 10 minutes until golden brown. Tree Hut was founded in Farmers Branch Texas when the first body butter was created. The company began with a simple goal to create an amazing product that would do what it claimed. To ensure that each product was amazing Tree Hut checked back with customers to see what they thought. Ten years later Tree Hut is still going strong. Tree Hut has continued to grow adding more fantastic products for the body to their ever growing natural beauty product line. Tree Hut uses natural ingredients from all over the world. From certified organic shea butter to coconut shells imported from the Polynesian Islands Tree Hut strives to bring the costumer the best products. Each product contains an array of natural oils and extracts to bring out the beauty that is naturally found in ones skin. Their goal is to balance the right ingredients to obtain the right results so that the right scents will be obtained to indulge ones senses. Tree Hut makes a promise that each product will be amazing without ever being tested on animals. Each product will do what it says and each product will be produced in the Tree Hut facility in the U.S.A. The most important promise is that Tree Hut will be made so that the costumer(s) can pamper your skin at home to bring out your natural beauty. One of my favorite scents of all times is coconut. It just sort of wakes my senses up and helps me feel better all over. I was able to review Tree Hut Shea Moisturizing body was coconut and lime recently and must say that it was amazing. The tropical scent of coconut and lime was like none other. The aroma was one that others around me even after my shower took note of commenting about the scent that I was wearing and liking it. I felt great that Tree Hut used natural coconut and lime extracts to create a product that was stronger than others on the market because others often contain harsh chemicals that dull the scent of the coconut. The feel of the body wash was different than others as well because Tree Hut infuses their creamy body wash with certfied organic shea butter, lime extract and safflower seed oil. The result was one that leaves me desiring more and left my skin moisturized. The body wash naturally helps to wash away daily build up of dirt, oils, and pollution. Certified Organic Shea Butter: Promotes skin elasticity and is known for its moisturizing and anti-aging properties. See's Candies gleaming silver gift box offers a half-pound assortment of their favorite chocolates. Rich dark and creamy milk chocolate confections include creams, nuts, chews and more. A great gift at an affordable price. This is the style of chocolates that I love the best. I can remember as a kid being able to choose a chocolate out of the box. What a treat. I would always go for the chocolates with the caramels first and end with the chocolate with jelly or fruit. See's Candies did not dissapoint each and every piece that I selected out of the box was delicious. Do you loe gourmet lollypops? I know I do and these little pops were bite size versions of the larger counter parts. Created using the same cream, butter, and assorted flavors as the larger pops these little pops Little Pops are created with the same cream, butter and assorted flavors as those larger pops but look better go farther in candy jars. Little pops are individually wrapped and come in an assortment of flavors of Butterscotch, Chocolate, Vanilla and Café Latté. I loved these little pops and while they may be little they provided a large taste. Santa never looked better in my opinion than wrapped up in the colorful foil and donned all in chocolate so that every chocolate lover will enjoy a delightful snack. See's milk chocolate santa provides the gift in every little bite. Founded and headquartered in sunny California for over 90 years See's Candies has been dedicated to making delicious candy using only the finest, freshest ingredients. See's Candies contain no preservatives to our candy. There is a taste of quality in every piece of candy. American made, famous for deliciousness and the frendliest customer service since 1921. Since the first day it appeared on T.V. I have loved "The Voice". So much talent in one place. With the coaches being extremely talented their selves how can you go wrong? One of those great talents appeared on Christina Aguilera's team. Chris Mann demonstrated his talent on the show and now his new CD "Roads" has appeared on the scene. I must say that I simply love the music found on this CD. Awesome songs showing off Mann's talent and voice are clearely demonstrated on the cd. Songs made popular by other artist are honored on this CD such as "Need You Now" appear on the cd. The pop style cd leaves listners desiring more. Mann actually helped write two of the songs that appear on the cd. The songs "Coure" and "Falling" really help show off Mann's talent and offers listners a ballad type song that allowed me to relax for a moment as I really enjoyed the songs. The song "The Blower's Daughter" features a duet of Chris Mann and Christina Aguilera and is very pretty. I admire both voices so the song simply was terrific in my opinion. Every since I knew I would get the chance to review Mann's new CD I could harly wait. When I arrived home from work to find the CD had arrived I had to share it with my hubby at once. We sat and listened to the songs on the CD and he was impressed as well. The music offers a mixture of songs many we were all ready familliar with. Check out Chris Mann's new CD Roads on Amazon here and iTunes here. 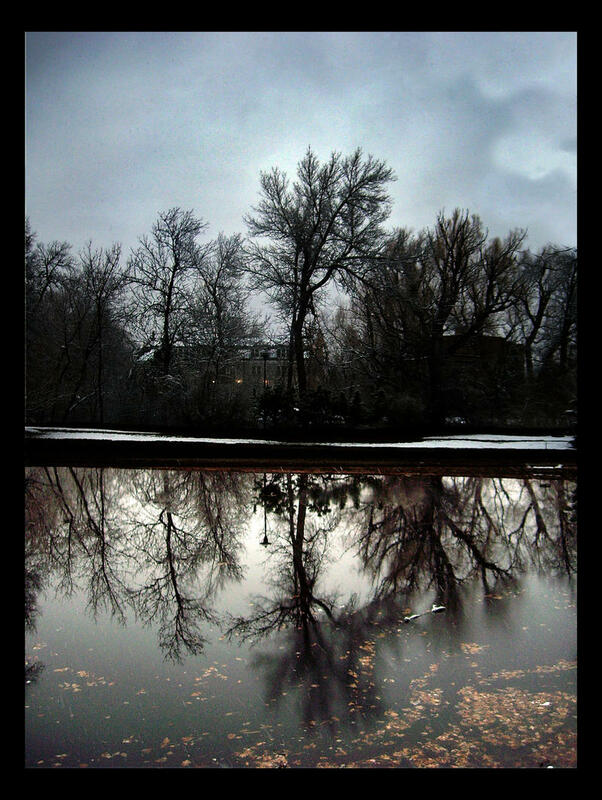 Find out more about Chris Mann on his website here. Disclosure: This is a product sponsored post. I shared my personal thoughts and opinions in this post. We are disclosing this in accordance with the Federal Trade Commissions 16 CFR, Part 255 Guides Concerning the Use of Endorsements and Testimonials in Advertising. I am a mom who strives to please her family. While my family has grown and a few have left the nest there is still several of us living here at home and we all love mex-america food. We may not be ones that care all that much for extreme hot spice the truth is that we do love mild food with a bit of punch. You may be surprised but MexAmerica food can offer you goodness in your diet as well. Saute beef and onion until beef is no longer pink. Season with salt and pepper. 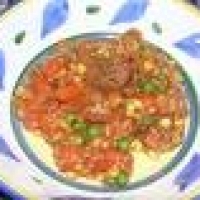 Add olives, bean dip and salsa and simmer for 1/2 hour. To serve: Heat the tortillas. Place tortilla on a plate and sprinkle with shredded cheese. (You can microwave this for 30 seconds to melt the cheese if you like.) Then place the filling down the middle and roll up. Accompaniments: Shredded lettuce, diced tomato and chopped green onion. Guacamole, salsa and/or sour cream. Mex America tortillas are made fresh, never frozen and shipped daily to grocers. You can definitely tell the difference, or at least our family agreed that you can. It is a fresher more vibrant taste. These tortillas are also kosher certified. The finest ingredients are included in the mix of MexAmerica's secret formula. They process sounds rather gentle with lots of care put into making the tortillas that your family will enjoy. MexAmerica's cherished method of producing tortillas are superior to the other brands that "punch" produce tortillas. We also received corn tortillas. These were my personal favorite. MexAmerica creates these tortillas from quality stone ground corn. One great thing is that these are zero trans-fat and gluten free. My daughter is on a gluten free diet and we are always on the search for products that she can have. I love it that these are on the list of gluten free foods. These tortillas are also made fresh and shipped daily. My kids really like to have tortillas for traditional mexican foods like tacos and burritos but I also keep them in the fridge because they use them as a sort of roll up as well. They simply use the tortilla to make an easy roll rather than the bread or bun that they may have used. Their reasoning is that it is quicker and easier to eat and enjoy. 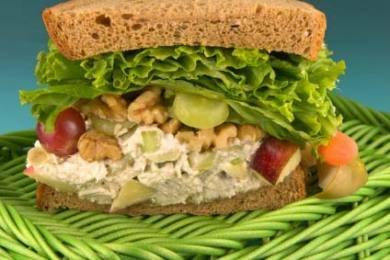 I love chicken salad and this fab recipe allows us to gain even more flavor in my all ready favorite. Marinade chicken in 1/2 to 1 cup of bottled Italian dressing, about 10 minutes. Grill chicken until no longer pink in middle. Assemble salad by laying down a bed of Italian mixed greens, adding chopped black olives. Add thinly sliced red onion, pepperoncini peppers, and tomatoes. Shake 1/2 cup of remaining Italian dressing onto salad. Toss to coat. Slice grilled chicken tenderloins into thin strips. Serve salad with chicken on top and additional dressing on side. Other additions might be cucumbers or other vegetables. this would also be an awesome recipe to check out the great taste of rudi's breads. Comment on either the rudi's review or this recipe to get an extra entry into any giveaway. Boys who Play Together Pray Together!! !